Want success and satisfaction in your career? Answer three questions and change your life. Early in my career, people told me that I should find my purpose, follow my passion, and do work that I loved. Then, and only then, would I be successful and satisfied. That advice... did nothing for me. I didn't have a clue as to what my purpose should be, and I didn't feel a particularly strong passion toward work of any kind. I wasn't even sure what kind of work I enjoyed or if it was possible to "love" a job. I was just happy to have a job. Fast forward years later, I'm clear on my purpose, my passion, and what I love to do. I'm sure my early mentors would be proud. But guess what? Understanding those things isn't what helped me find career success or satisfaction. 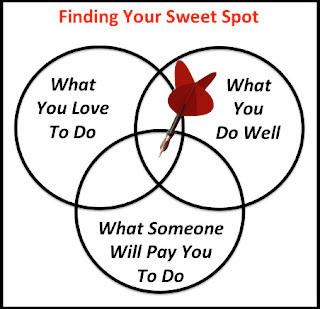 I had to understand those things - and more - to find my career "sweet spot." Understanding your sweet spot, and using it to guide your career choices, isn't as hard as you might think. By asking yourself three questions, and answering each question thoughtfully, you'll make better choices that put you on the path to success and satisfaction in your career. I should mention, you'll be a lot happier in your life too. Maybe you need a small adjustment, or maybe you need a complete career overhaul. Either way, once you find your sweet spot, your life will be a lot.. sweeter. How do you find your "sweet spot" and use it to achieve success and satisfaction? Understanding The Concept Of "Sweet Spot"
A sweet spot can be defined in many different ways. Most commonly, athletes refer to a sweet spot on a bat, club, or racket. It's the precise spot that allows for most effective contact with a ball, for maximum results or ball flight. Musicians refer to the sweet spot as the perfect focal point between speakers, for someone to hear music in the way it was created and intended. My definition of sweet spot is the precise combination or intersection of several factors to create the best possible solution. As you think about your career, you could probably identify numerous factors that impact whether or not you're successful or satisfied in a given job. The concept of a sweet spot is giving yourself the best possible opportunity to be both successful and satisfied. Your sweet spot requires you to consider three factors, as shown here. The intersection of these circles is your career sweet spot. On the surface, this seems like a no brainer. If I asked you real-time, right now, to tell me 10 things you love to do and 10 things you do well, could you do it? In five minutes or less? Would you be able to relate those things to how you make money today? Or how you could leverage them, to make more money? Think about these concepts in combination. Suppose you love your work, but you're not particularly good at it. Or maybe you're very good at what you do, but you don't love it. Or maybe you simply aren't in a job that values your skill set, so you can't make money, doing work you love or do well. The sweet spot is when these three variables intersect. You enjoy your work. You're good at it. And you're paid well to do it. 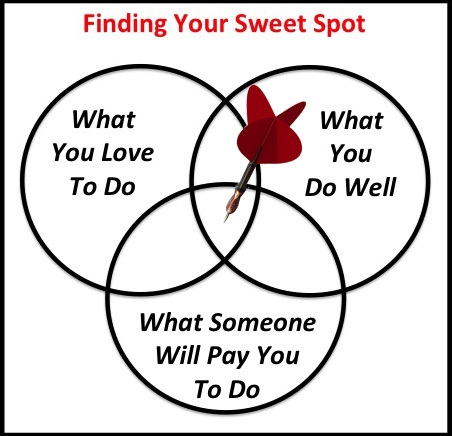 The only way to find your sweet spot? You need clarity in each of these three areas, so you can map a course that brings you to the intersection of the three. It's the simplest of concepts that sometimes stump us the most. Or on the flip side, we may write them off as simplistic or frivolous. Neither of those things are true in this case, once you turn your attention to the questions, and challenge yourself to answer them. You simply have to do the work. In some ways, it's easier to try and come up with a solution for world peace. It's hard sometimes to be introspective. I encourage you to spend a few minutes reading this article and answering these questions for yourself. If you take the time to do this exercise, you'll likely have some new clarity about your career, and be one step closer to your own sweet spot. Often when we make career choices, it's like throwing a dart at a dartboard. Use this as a visual metaphor of sorts, to help you understand the concept. Think of the bulls-eye on a dartboard as your "sweet spot." It's a small space in the landscape of the dartboard. You have to be skilled to hit it, at least with some level of consistency. You also have to want to hit it. You rarely see someone who's good at darts, not have a strong desire to hit the bulls-eye. It's the precise combination of skill and love of the game that makes for a great player. When you make career choices, your hope is that you'll hit the bulls-eye of the sweet spot. In my career, I've absolutely hit the bulls-eye a few times. I've also thrown quite a few darts wide. I've even thrown a few off the board completely, into the wall. Once I understood my sweet spot, I made better choices. Let's explore what you need to understand to find your own sweet spot. In the next section, we'll talk about how to use this information. The first step to finding your career sweet spot is to think about what you enjoy doing. You clearly don't want a life of drudgery doing work you don't enjoy. That said, this isn't an exercise for dreaming of lands far away and fairy tale endings. This is a practical exercise to identify potential areas of focus in your career. To explore this area, consider the following questions. a. What you enjoy at work. Think of your current job. What aspects of your job do you enjoy? Be very specific. What have you enjoyed in other jobs you've had, going back as far as you can remember? Try to list 10 things or more that you genuinely enjoy doing. Time flies when you do these things and you feel great having completed these tasks. b. What you enjoy outside of work. What things have you done on a personal level that you enjoy doing? These could be personal hobbies, physical activities, community involvement, or family activities. What specifically do you enjoy and why do you enjoy it? What is it about the activity that makes it so enjoyable? What would you volunteer to do every single time you were given the opportunity? Be as specific as you can be. c. What you think you might enjoy. What things have you dreamed about doing, but not had the chance to do? While I wouldn't base a career choice on these things, it's good to throw them in the mix to see if they make sense to consider. Make a list and add to it as more things come to mind. The more items you define here, the more likely you are to find a way to do more of what you want, and less of what you don't. I cannot express enough how important this is to understand. An honest assessment of what you do well is critical to finding success in your career. We all want to do what we love to do, but our best opportunity for success and satisfaction comes from doing things that we both love AND do well. We feel more accomplished, and we receive positive feedback and validation from others. Answer the following questions, with complete self-awareness and honesty. No stretching the truth. a. What you do better than most people. What are you known for doing very well, at work or at home? What do people compliment you on most often? What do you know with all of your heart and mind that you do better than most other people? In what areas have you done well, at work, at school, or in life? What are you most proud of accomplishing or completing? b. Who you are and what makes you special. What skills do you have either through formal training, job experience, or practical life experience? What characteristics do you have, both subtle and obvious, that you value, or that others value? What would others say are your most positive traits? What makes you feel most special or unique? c. What you're "good enough" at. Not every skill you have has to be stellar. What are you good at? What do you know how to do, that might be valuable in a career position? What have you done well through your career, whether you like it or not? What would your last couple of bosses say you do well or acceptable? 3. What will someone pay you to do? This is the reality check part of the exercise. It isn't so much about your current reality. It's more about reality in the broader sense of what's possible or likely. Here's an example that Marie Forleo, one of my favorite contemporary teachers, uses in one of her exercises about creating service offerings. Marie loves to sit on the couch and watch TV. And she's really good at it. Sadly, it's unlikely that someone will pay her to do it. (Although, the Neilsen ratings come to mind, but I digress.) The point is that this is where you brainstorm what someone may be willing to pay you to do. a. Jobs you find interesting. What jobs appeal to you, either from a practical standpoint or a dream job? What jobs have you had in the past that might be a good fit for you again? What jobs have you thought about, and ruled out because you didn't think you were qualified or capable of doing them? What jobs do others that you know enjoy, that might also appeal to you? c. Creating your own job. 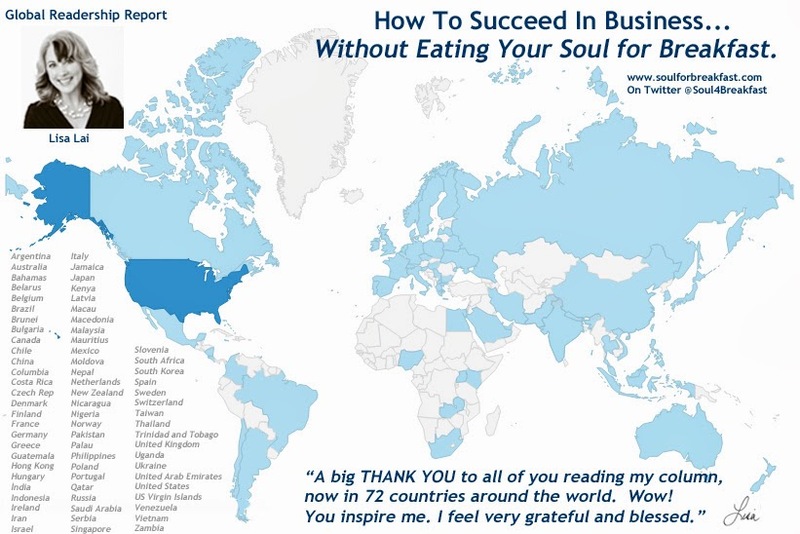 Have you ever considered going into business for yourself? If yes, what would that look like? What product or service would someone likely be willing to pay you to provide? How does that line up with what you love or do well? What makes you uniquely qualified to sell a product or service of your own? Could you do it? Could you do it if you had help from others? d. Translating hobbies into paid professions. Sometimes you have the possibility of translating skills you use in your daily life to skills you get paid to use. Do you have any skills that you've developed in your personal life that you'd like to parlay into your paid profession? Suppose you manage events for your child's school. You may want to consider becoming a project manager. Maybe you cook and throw parties for your friends. You may want to consider becoming a chef or event organizer. You could be great with numbers and find a way to move into bookkeeping or a reporting role. Once you've answered the questions related to your sweet spot, it's time to put it all together. Remember that your sweet spot is found in doing things you love to do, that you also do well, and that someone will pay you to do. Be creative in how you use this new insight. Sometimes it's best to let the information settle a bit in your mind before you try to determine if a change or adjustment is needed. That said, don't let too much time pass, and do trust your instincts. Here are some tips for finding your sweet spot and determining what your next steps may be to move in that direction. 1. Get clear. Really clear. Look for things in common between what you love to do and what you do well. This is the foundation of your sweet spot. Any job you consider should place heavy emphasis on these activities. Keep these things top-of-mind when you think about what's next in your career. If you can't find things that you both love to do and are good at, keep challenging yourself. Also, see #3 below. Consider how closely your current job aligns to what you enjoy and do well. If it doesn't at all, start to think about what other opportunities may exist with your current employer or outside of your company. If your current job has some elements that fit and others that don't, consider asking your employer if adjustments can be made to improve the fit. Be prepared to share how a change will improve your performance, and why it's good for you, as well as the company. Consider sharing job responsibilities with a peer if possible. He or she may love doing something you don't and vice versa. As long as the work gets done, often times your manager will let you be creative in how you do it. Don't be afraid to ask for adjustments. The pay-off can make all the difference between loving your job and leaving it. If you find that there are things you love to do, and you believe someone might pay you to do them, but you aren't yet competent or skilled, try to identify how you can access training or mentoring. You may be surprised at the resources available to you once you open yourself up to consider them. Look online, read a book, ask friends, or determine if your employer would be willing to provide training. Be clear with your employer about your interests if it can benefit the company over time. Often, it's in an employer's best interest to train high-potential employees from within rather than look for skilled talent outside the company. Convince your boss of that and you may get training you can use there or elsewhere to adjust your career path. If you're interested in applying your current skills to a new industry or role, and believe you're qualified or have potential to be successful, reach out to someone who can help. Talk to someone who is doing something similar to what you're considering. 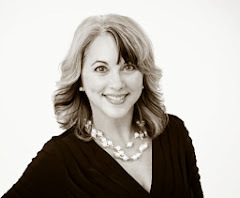 You'll be amazed at how willing people are to share their experiences and provide insight. You only have to be respectful of their time. Ask your friends if they might know someone willing to talk to you. Search online for companies that specialize in your area of interest and review their website for insight or job opportunities. Find people on professional networking sites who do what you want to do, and send them a note asking for their guidance. Be thoughtful about how your background might benefit a prospective employer since it's not a direct complimentary fit, and be prepared to convince them it's worth taking a gamble on you. Spend time with both the questions and your evaluation. Don't force any rash decisions. On the flip side, don't let fear, uncertainty or doubt hold you back. Develop a plan to find, or define, a job that includes a lot of what you love and are good at - and less of the rest. It may require a change in responsibilities, role, company, or industry. In the long run, you'll be more successful and more satisfied if you work within your sweet spot. It really is that simple. Don't do anything drastic, but make a plan and hold yourself accountable to pursue it. You'll reap great rewards over the course of your career. So many people go to work everyday without feeling successful or satisfied. You don't have to be one of those people. There are so many different types of jobs across every industry, city and country in the world. Every job requires a different combination of interest, skill, and personality. Finding the right one for you is about understanding your sweet spot. You may have to wait for the right opportunity to come along. The only way you'll be ready is if you know exactly what you want. I've heard the argument that sometimes you just have to do something that you don't enjoy for the paycheck. I've been one of those people, so I know it's true. In all cases, though, you can and should work toward something better. Not all high-paying work makes you eat your soul for breakfast. You don't have to accept a job you hate, or stay in a role where you can't possibly be successful carrying out your job responsibilities. Ask yourself what you love to do and what you do well. Think about what others might pay you to do. Work hard to gain clarity in all three areas. Do your research to understand your options. Develop a plan and move at whatever pace makes sense for you, in the direction of your sweet spot. Life is so much sweeter when you're doing work you enjoy and doing it well. Someone out there is waiting to pay you for what you - uniquely - bring to the table. Know what it is you want, and when the time is right, you may just get it. PS: If this article was helpful to you, please pass it along to your friends or colleagues using the buttons below!